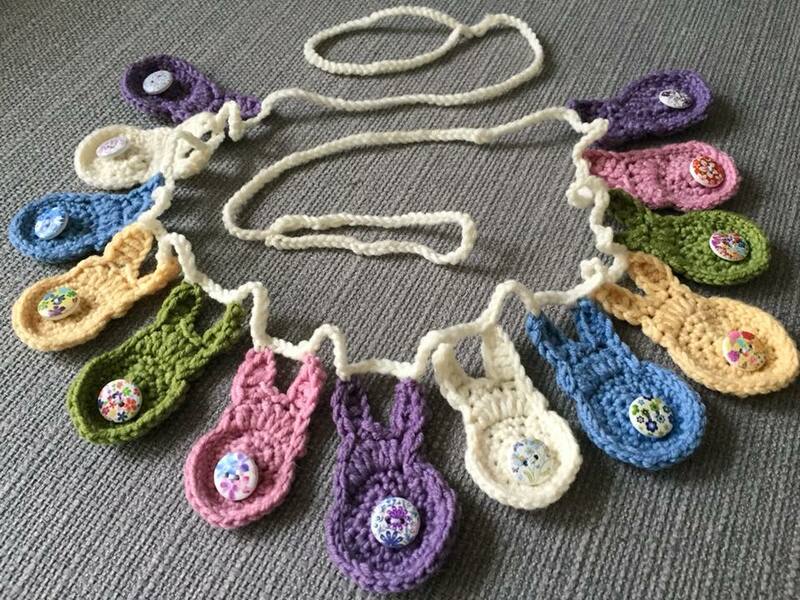 30) Spring bunny garland, 160cm total. Each bun is approx 7cm. Fifteen of the little fellas. White wooden button tails each with a different floral pattern. Item 21. Gorgeous Spring shawl/scarf is in Stylecraft ‘Head over Heels’ sock yarn.